To learn the amount of per payroll deductions that will be charged by your location for Health and Dental Plan coverage effective October 1, 2018, log in to MyEnroll from this site's home page. Under the Employees Header, choose “View Benefit Statement” under the Benefits section on the right side of the page. You can also proceed through the Open Enrollment process to view the per payroll employee costs on the Medical and Dental Plan pages. 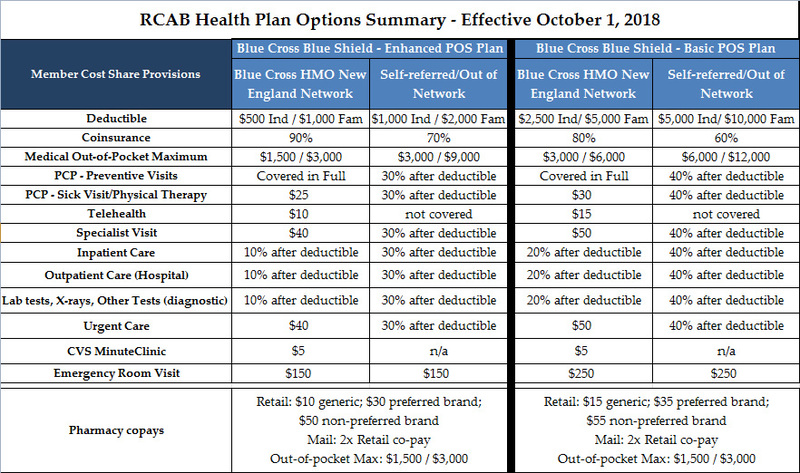 Additional information about out-of-pocket costs under the Enhanced and Basic Blue Cross POS Plans is available at the links below. 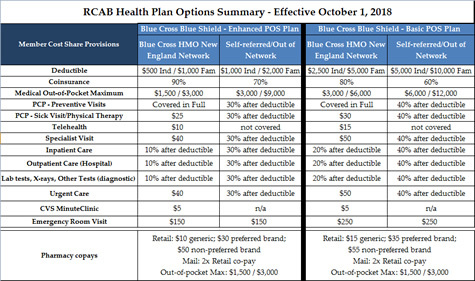 Employees and family members who enroll in either of the Blue Cross POS Plans can visit doctors and other provides by visiting www.wellconnection.com. Co-pays for virtual visits are lower than for in-person visits. To find a local doctor who offers live video visits, go to Find a Doctor & Estimate Costs at bluecrossma.com/findadoctor and select Tech Savvy Office under Refine Your Results. For additional assistance, please contact the Archdiocese Benefits Office at (617) 746-5640 or benefits@rcab.org with any questions. "Preferred Provider" physicians are In-Network providers and have lower co-pays. to refill your prescription drugs.